First Grade Critter Cafe': Book Study: "Teaching Reading in Small Groups"
Book Study: "Teaching Reading in Small Groups"
Readers, I have been bitten by the Book Study worm this summer and it feels FANTASTIC! 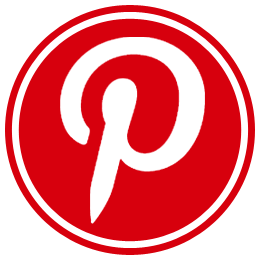 One very special recommendation popped up at the iTeach First conference last month in Vegas. 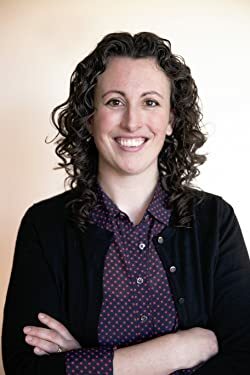 Her name: Jennifer Serravallo. Her specialty? Strategic teaching in small groups and delivering top-notch conferring tips to our youngest of readers. Sounds awesome, doesn't it!?! After prepping my reading area and getting in my comfy zone, I dove into the book and read it- in it's entirety-in 4 hours! Chapter 1 begins with her push of getting past traditional reading groups and guided reading. 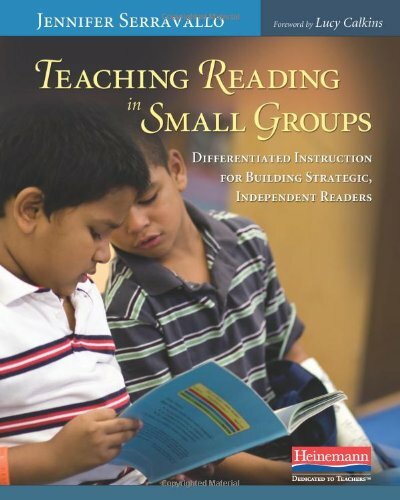 She revolves her thinking around small group instruction with a key focus on "The Five Tenets"
*structure includes book introduction, reading with coaching, and teaching point(s) or discussion. *structure includes connection, explicit teaching, active engagement, and a link to students' reading. 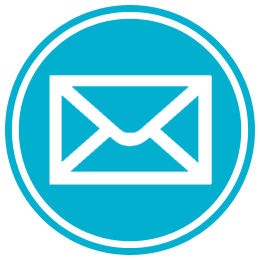 *Assessing ENGAGEMENT through engagement inventories, book logs, and reading interest surveys. *Assessing FLUENCY through shared reading, running records, individual conferences, and partnerships/clubs. *Assessing PRINT WORK STRATEGIES through running records and individual conferences. *Assessing CONVERSATION through whole-class conversations, partnerships, and clubs. 1. Connect & Compliment: Tell the children why they've been pulled together, reinforce a strength, and state the strategy for today's lesson. 2. Teach: Provide a brief demonstration, shared practice, example, or explanation. 3. Engage: Coach the students in their own self-selected independent reading books, or, when you're not sure their book will provide an opportunity to practice the strategy, prepare a text for them. 4. Link: Invite students to continue working independently, applying and reapplying the strategy practiced in new contexts. I love page 106, Figure 4.3 on how Jennifer decides HOW MUCH SUPPORT to give each reader prior to practicing with coaching. The Strategy: Read what the text says. Imagine yourself to be in the place. Use what you're experiencing, including all of your senses, to add your mental picture. NOT a strategy: "Picture the place"
Chapter 5 dives into "Talking about Books" and improving partnerships and clubs. Jennifer values and supports book clubs and partnerships. How can we make our youngest readers more responsible for their learning? Jennifer suggests creating menus for each partnership that can be added to as children learn new activities. (I envision many of the Read to Someone bookmarks and prompting task cards that I use during Daily 5 would work great in this section). *Choose a highly engaging text-a song or poem-that will motivate the children to want to read-reread-practice and perform. *"Sell" the club to the group members in a way that makes it feel exclusive and special. *Start the week with a shared reading club and give each reader his own individual copy. *Encourage the children to practice all week: to warm up before independent reading, to take a break from independent reading, and to practice at home with an audience of family. *End the week with a brief PERFORMANCE, allow the other children in class to celebrate the group's hard work! introduction groups as an alternative to guided reading. *Children get to choose their own books. *Children are grouped because they are all working to move to the same new level. *The teacher doesn't introduce a book-the teacher introduces text difficulties. *The teacher gives strategic support to the readers for text difficulties. 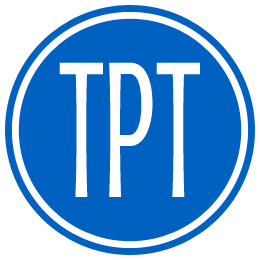 *The group follows the "connect and compliment, teach, engage, link" structure. *A child should keep texts at their "old" level and the one book that was practiced in the group to work on that week. More group work is often necessary before a child is secure in the new level. Jennifer also created a "strategy menu" for each book level to guide her explicit strategy instruction within each small group. Friends, this menu is FABULOUS! If you have this book, check out Figure 7.4. Dreamy, isn't it?! Finally, we reach Chapter 8 which gives readers a tour of how Jennifer organizes and manages small-group conferring. Jennifer's conferring notes and student reflections are much like what I use from The CAFE conferring sheets. I was poking my husband at this point saying, "I'm doing it right!" This was a terrific book from a fresh new author that gave me a ton to think about. I think the book can be interpreted easily by any primary or intermediate teacher. Some areas of the text waver towards intermediate but I think us primary teachers KNOW how to mold and craft new learning into our classrooms to make it work for us and our littles! I just added this newbie to my Amazon cart! Is it real or are they "faking it?" Students only fake it when they do not have the skills to immerse themselves in a good-fit book. I created two interest surveys that I plan on using the first week back to school. Hopefully, this will allow me the opportunity to reflect on each student's level of interest and give me that "peek inside" of how they "see" their own learning styles. Interested? Click on the image below to grab your copy! Time for your Feedback. Please. 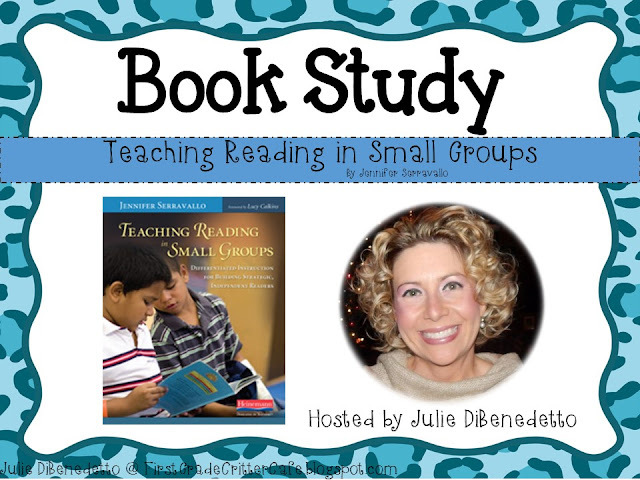 How did you like this Book Study Chat? Shall I keep going and investigate a new topic? Please share your suggestions in the comments below. Thank you for the book review. I have Jennifer's Reading Strategies Book. It is wonderful! I will have to check out the small group one. 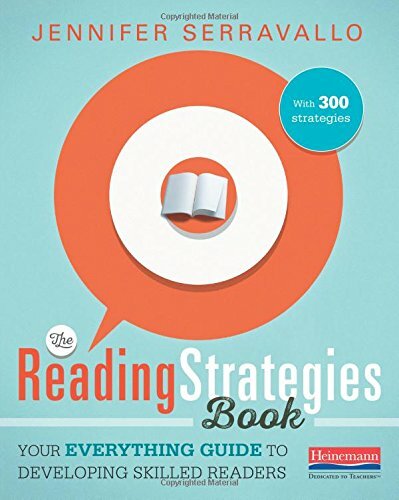 There is a book study going on right now on Mondays and Wednesdays for the reading strategies book. You can find info on the Literacy Loving Gals blog. Thanks so much for the lovely feedback! I will definitely check out the Book Study over at Literacy Loving Gals! I have this book on my "to read" list. After reading your post, I wish I already had the book in my possession! 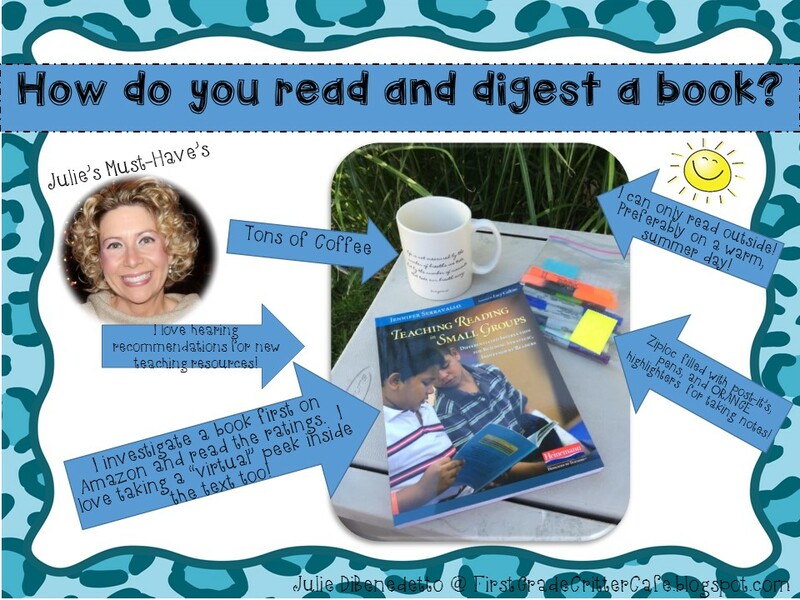 I recently read Jennifer's book, The Literacy Teacher's Playbook, K-2 and loved it. She informs and confirms my teaching at the same time! I am looking forward to implementing my "take-aways" from the book when school starts. Thank you for sharing! And, yes keep reading and posting your thoughts! Julie, Thank you so much for commenting and sharing! I think we both will be off to a great start this school year with all this new and fabulous information we've learned from Jennifer! Will have to order this ASAP. Thanks for sharing. Excellent review. Please, please keep reading and sharing. Sara, you are so VERY welcome! Have a great start to your school year!